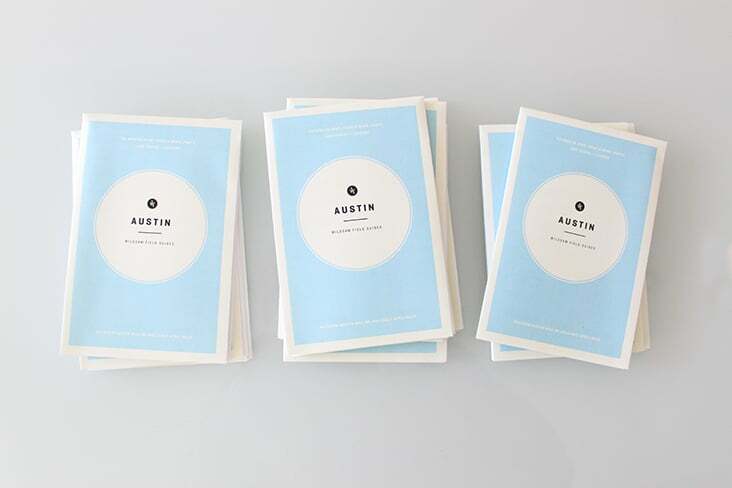 Wildsam Austin SXSW Promo « Stitch Design Co.
Wildsam will soon be releasing the second field guide for the city of Austin this spring. For the annual SXSW festival, we did a mini version of the guide for attendees to get a taste in advance for what is to come. 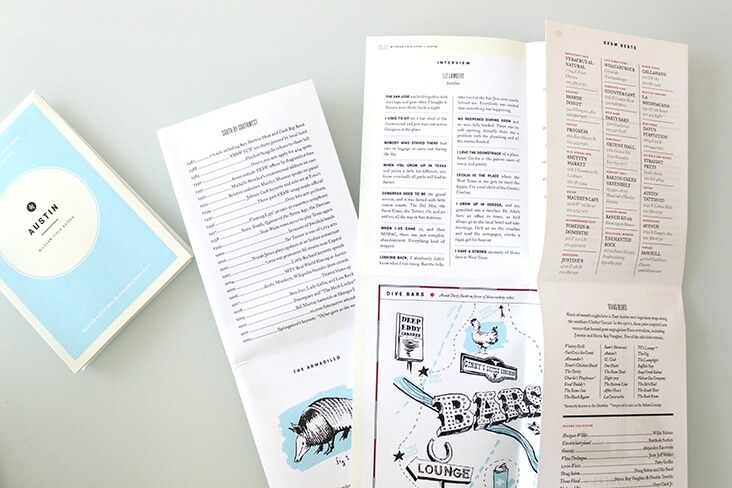 Printed on thin stock, the promo pieces folds open to reveal excerpts and illustrations of Wildsam’s favorite dive bars, an interview with hotelier, Liz Lambert and more.